Not a creature was stirring, not even a crime. In hopes that a big win would be declared. While visions of lead jammer and big hits danced in their heads. 5:00pm – Afterparty at Mr Lynch, Jesmond where we be having our Christmas Party. Online tickets no longer available, limited tickets available on the door! For our special Christmas price of £3.50! Sign up to the Facebook event page for all the latest news on this bout. up to lightfoot stadium, to see the belters play. 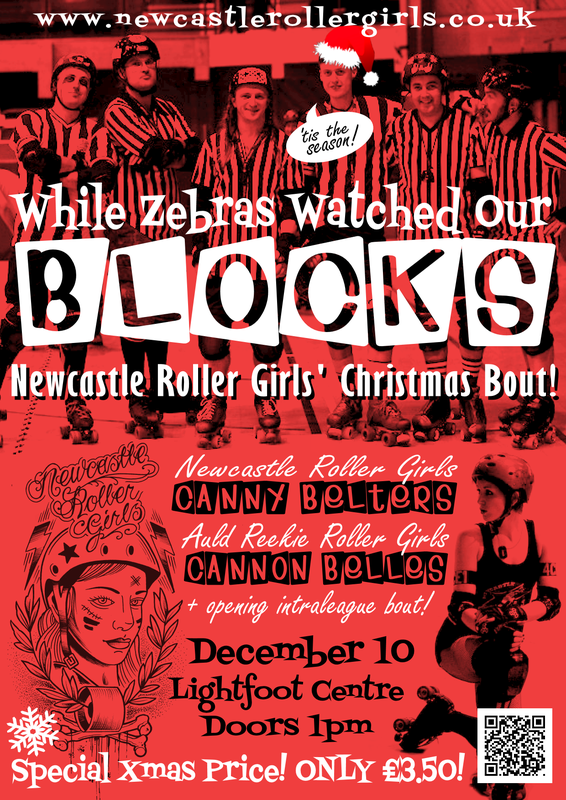 … come and watch the NRG…and have a cracking day. 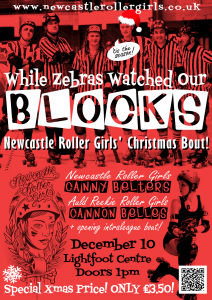 Previous PostGet the inside track on our Hot Wheel win!Next PostNRG accepted as a UK Roller Derby Association League!